Hiking may not be the first activity that comes to mind for Space City — the stereotypes tend to veer closer to driving big trucks and hanging out at rodeos (which sure, we do too). But this city loves spending time outdoors. And with the temperate weather during most of the year and tons of green space, why wouldn’t we? 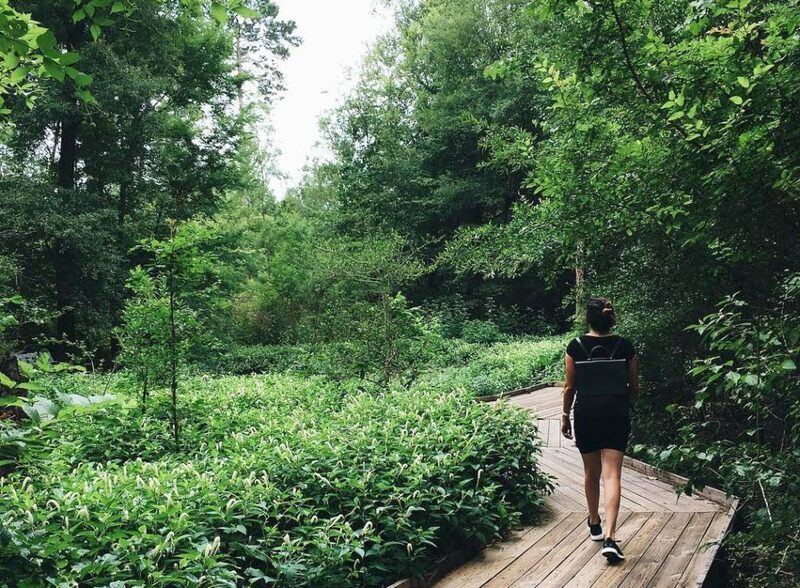 From wooded walks to downtown views and afternoon brews, there’s a hike for everyone. So what are you waiting for? 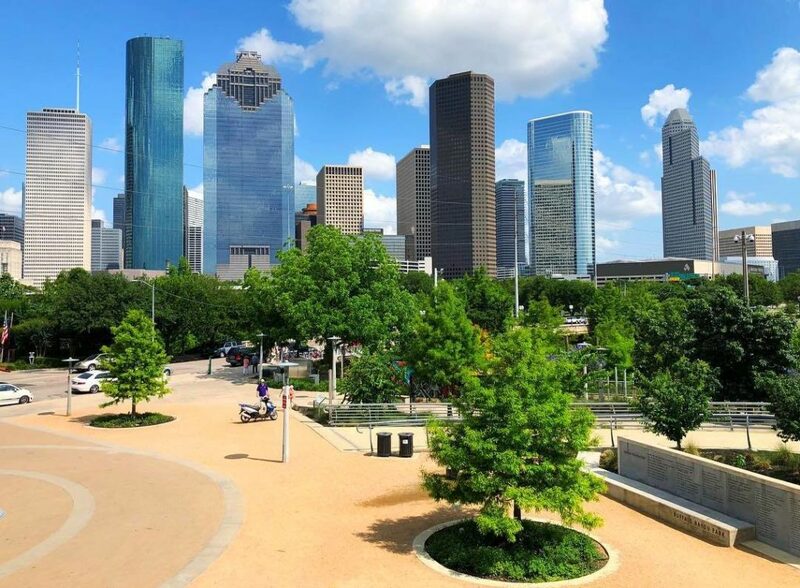 Grab your daypack, plenty of water, and get ready to hit the trails at these hiking spots in H-town. 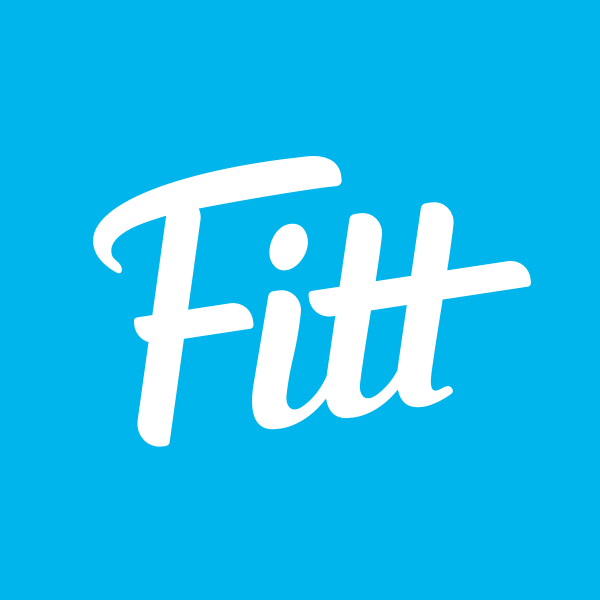 Stretching from downtown to Shepherd Drive, the trails along Buffalo Bayou are paved and easy to hike or run along. 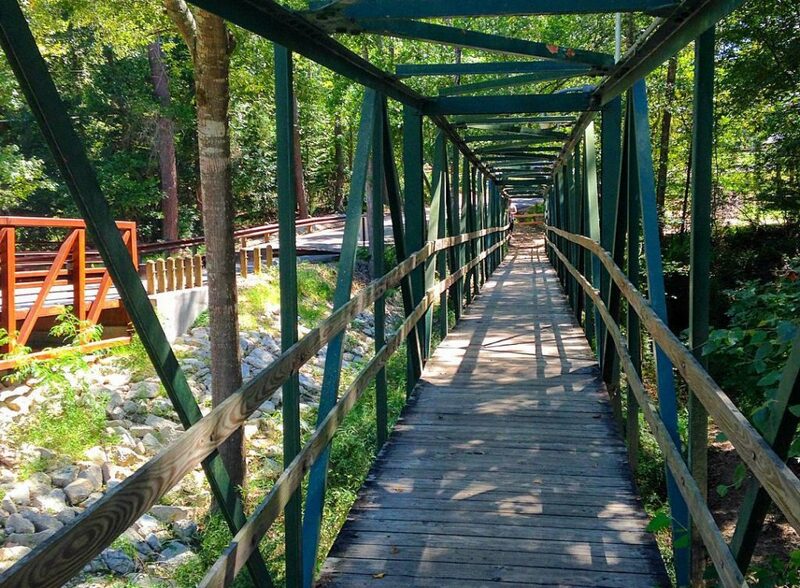 There’s no shortage of things to do or sights to see along your bayou hike. Press the red button at Preston Street to see the Big Bubble art installation in the water (it’s just what it sounds like…trust us), take an evening hike near Waugh Bridge to see the bat colony, or simply pack a picnic and enjoy the wildlife and artwork around the park. On the western side of Memorial Park, this 155-acre non-profit urban sanctuary doubles as both a park and an education center. With nine different trails in the center, there’s plenty of nature to discover! But for a little more distance, hike the two-mile Outer Loop Trail. It won’t break the bank either; the arboretum is free and open daily 7am to 7pm. Gators are no joke at this state park just 45 minutes outside of downtown Houston. Brazos Bend State Park is the perfect place to experience true Texas nature without traveling too far. The majority of the 37 miles of hiking trails circle the lakes, so trust us — give this guide on alligator safety a read before you hike. More of a runner? 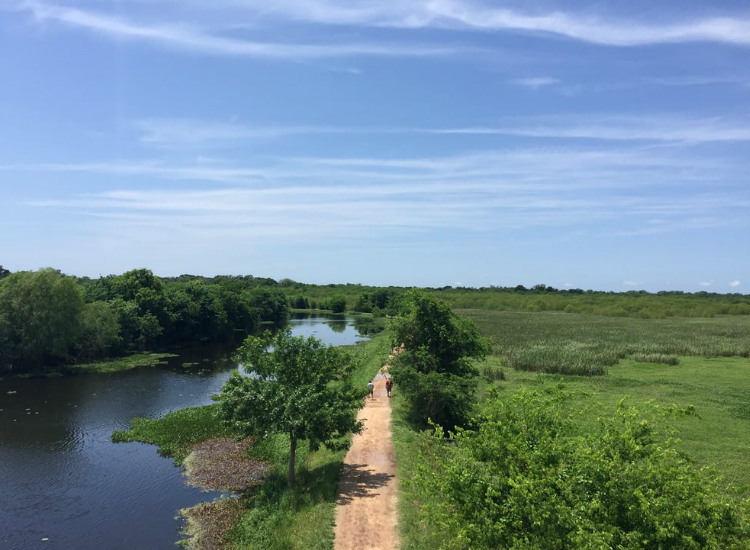 This park also hosts the fastest trail in Texas, and sets the course for the annual Brazos Bend 50. Connecting to the Houston’s massive bayou system in West Houston is Terry Hershey Park. A favorite for trail runners, hikers can get some good shaded milage in on approximately 10 miles of trails. 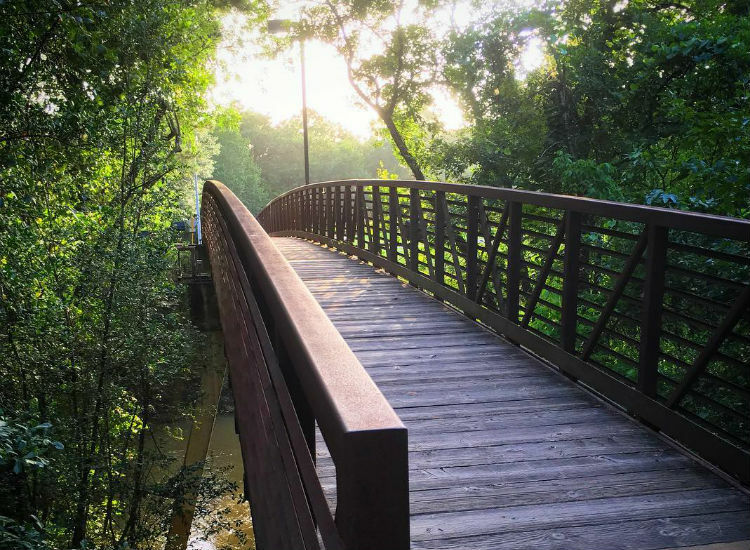 On the far western end, the park connects with the 11-mile George Bush Park Hike and Bike Trail in Katy, so those craving more distance are in luck! 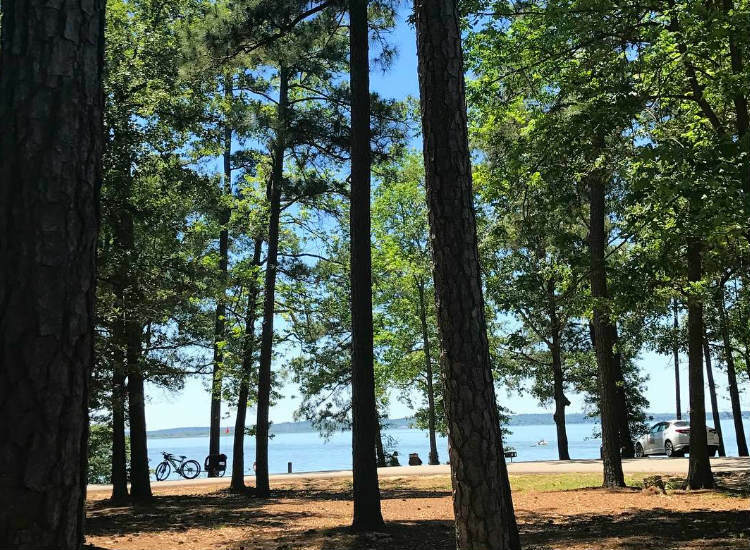 Hike along lakeside trails in the Pineywoods forest at Lake Livingston State Park, about 75 miles north of Houston. The 2.5 miles of shoreline make nature sightings a common occurrence (just beware of gators here, too!). Park entrance is just $5 for adults and free for kids under 12, so it’s easy to make a full day of hiking and lakeside fun! Covering almost 1,500 acres (compared to NYC’s Central Park’s 840), you better bet there’s plenty of space to hike in Memorial Park. The park offers more than 30 miles of trails that wind and twist though the park, including the color trails located just behind the Picnic Loop. There’s always someone picnicking along trails or in the park, so once you get tired grab a table and enjoy! FYI: Keep your earbuds out during hikes as many of these trails are also heavily used by mountain bikers! And did we mention how much fun a post-hike beer is? 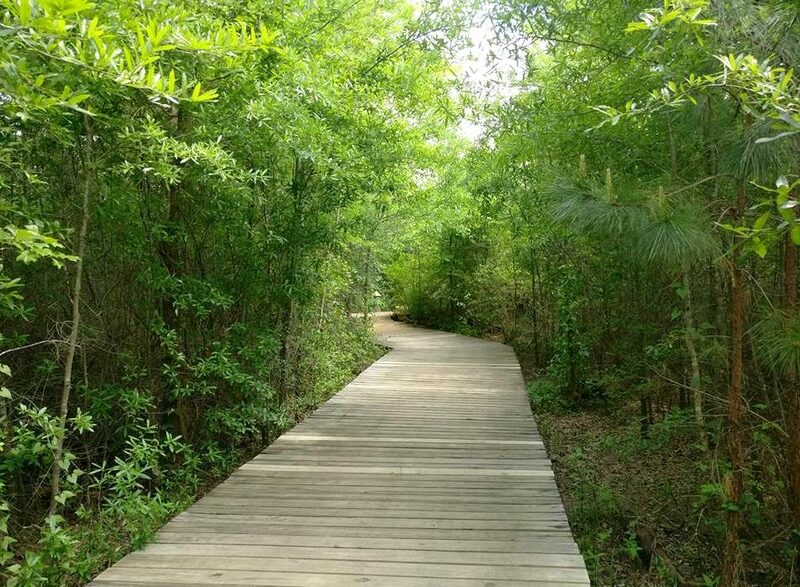 This heavily-forested park is only 30 minutes north of downtown off Highway 59. And, because it’s the only park in the Houston proper park system to allow overnight camping, you can hike all day long. The park entry fee is $3 and it boasts 30 miles of trails, so that’s only 10 cents per mile! Houston, we have trails. Just a few miles from NASA, the family- and photographer-friendly natural park of Armand Bayou awaits. 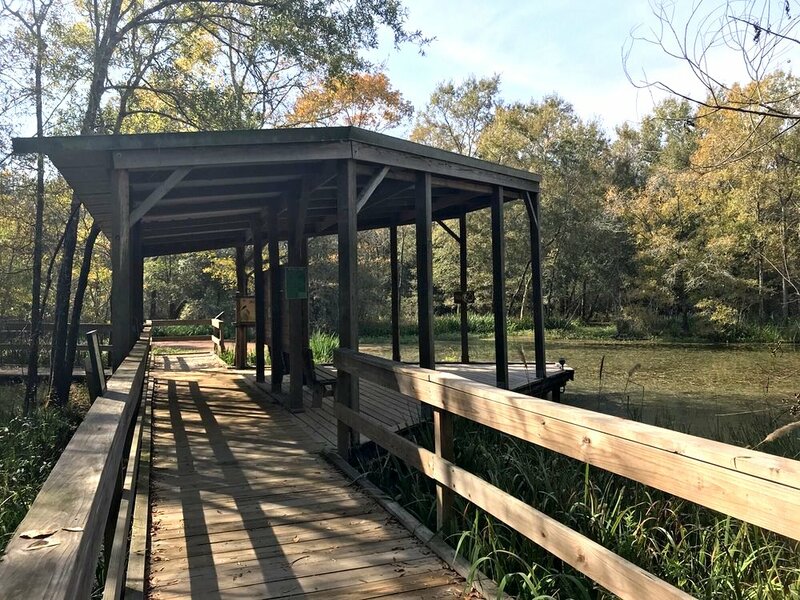 Featuring a variety of ecosystems, including forest, prairie and wetlands, this nature center is essentially an outdoor classroom! Come ready to learn, discover nature, and of course snap some Insta-worthy shots of deer or even a gator. Guided photography and nature tours along the trails make this spot perfect for beginner hikers and nature-lovers alike.